One of my favorite snacks is Greek Yogurt. Anyone else out there? Greek yogurt is a great mix of carbohydrates and protein to give you energy and keep you feeling satisfied between meals. It is a healthy choice and one that I often recommend, especially Chobani. 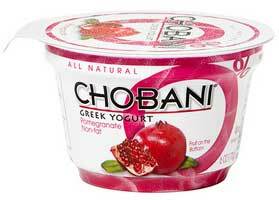 I prefer certain brands of Greek Yogurt and Chobani is one of my top choices. It is a natural product with delicious flavor and often times they have great deals in the local grocery store. 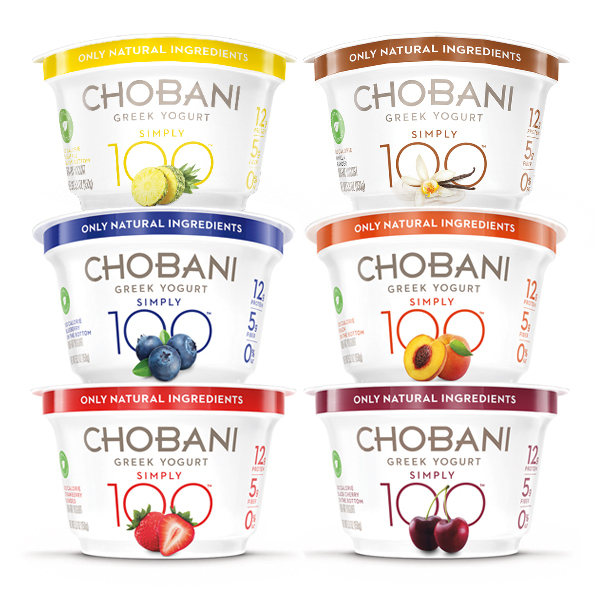 Chobani has consistently provided different flavors and varieties that continue to make its way to the grocery store. Their latest product is Simply 100, a 100-calorie yogurt option for those looking for lower calories. Before you get too excited, lets discuss. First off I usually am wary of any 100-calorie products. In most cases to get to 100 calories, companies will remove important nutrients and add processed ingredients. In this case with Simply 100, there is less sugar (yay!) but the sugar is replaced with Stevia, which is an artificial sweetener. Another quality is the addition of fiber in the yogurt. 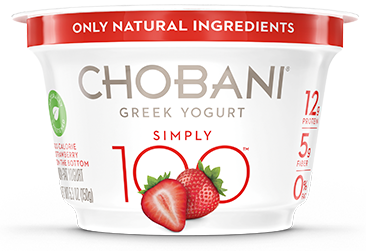 The Simply 100 product provides 4-5g of fiber, but fiber is not found naturally in yogurt. Fiber comes naturally in whole grains, fruits, vegetables and beans. To make this product high fiber, Chobani added chicory root fiber, a synthesized fiber that can be found in products such as Fiber One Bars. Does this mean Simply 100 is bad for you? No. But it may not be as natural as they claim. Although research has not associated chicory root with any side effects, it is still a synthesized ingredient while natural fiber can be found in many foods. My recommendation? For those with diabetes or if you are looking for a lower sugar product, this might be a good option once in a while. For most others, stick with the regular Greek Yogurt products. They are more natural and 40 calories won’t make or break your health. If you are looking to add more fiber to your day eat some fruits or vegetables.